The Free Software Foundation (FSF) is a nonprofit with a worldwide mission to promote computer user freedom. We defend the rights of all software users. Read more. 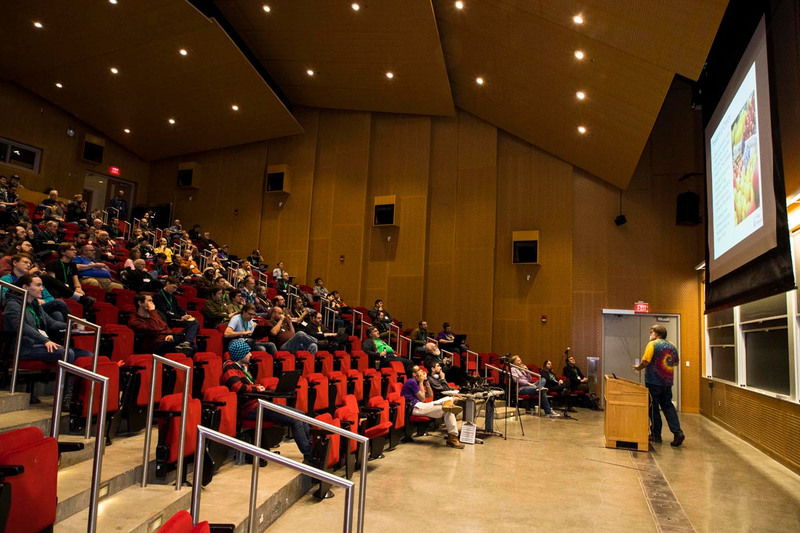 Thank you all, both attendees and remote participants, for another wonderful LibrePlanet conference! Keep an eye out for announcements -- we'll be adding videos of almost every talk to our MediaGoblin page shortly. The FSF provides critical infrastructure and funding for the GNU Project, the foundation of the popular GNU/Linux family of free operating systems and the keystone of the Internet. Our Campaigns Team creates educational materials about free software, convenes the yearly LibrePlanet conference and goes toe to toe against powerful interests that threaten computer user rights. Our Licensing & Compliance Lab defends freely licensed software from proprietary hoarding, advises on licensing issues, and certifies devices that Respect Your Freedom. With your support, we've done these things for more than 30 years. Help sustain us for many more; please become a member today.